At a few minutes past midnight on November 1st, 2011, after radioing a “thank you” to the Malta ATC controller, ‘OUP 355’, an E-3 AWACS of the NATO Airborne Early Warning Component, began an en-route descent to Trapani airbase, in Sicily. 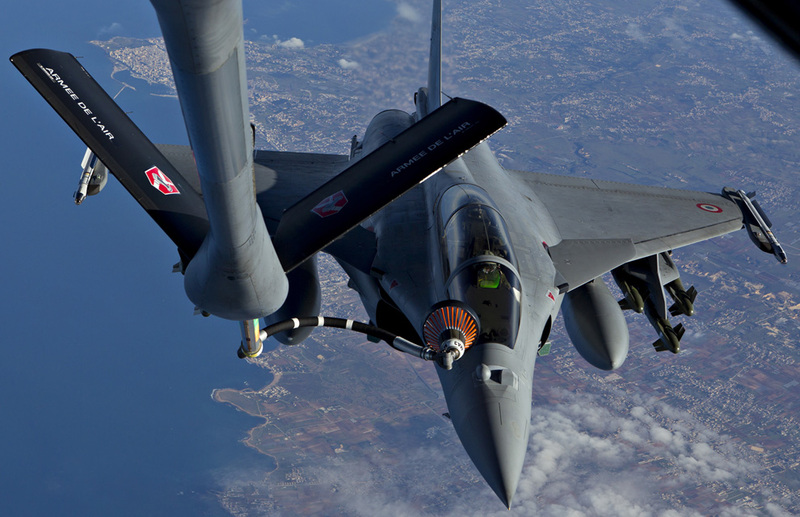 Since the beginning of the NATO operation at 06.00GMT on March 31st, over 26,500 sorties were conducted, including more than 9,700 strike sorties. These figures do not take into account the first part of the war, from March 19th until the Transfer Of Authority to NATO, when assets flew a significant number of missions under their respective national commands within the U.S.-led Operation Odyssey Dawn. Eventually, the air war in Libya was able to end the systematic violation of human rights and the repression of demonstrators, bringing the declaration of the full liberation of Libya by the National Transitional Council and the consequent stabilization of the region. However, the involvement of some weapon systems over Northern Africa became so well known (and, in some cases, overrated) that many have seen the use of air power over Northern Africa as a way to promote various forms of technology; a sort of really expensive marketing operation spurred by the desire of visibility rather than the need to achieve a quick military objective. But, beyond the advertising slogans of the manufacturers eager to get export orders and the statements of the high rank officers involved in the air campaign always struggling to preserve their budget from cuts imposed by the global financial crisis, which were the truly decisive weapon systems in Libya? Capable of silently flying for several hours carrying a wide array of sensors, well above the ceiling of the anti-aircraft weapons in the hands of pro-Gaddafi forces, Unmanned Aircraft Systems (UAS) played an important role in Libya. The first drones to operate in the Libyan airspace were the U.S. RQ-4Bs belonging to the 9th Operations Group/Detachment 4th of the US Air Force, based at Naval Air Station Sigonella, in Sicily, the main operating base of the NATO Air Ground Surveillance Global Hawk program. The Global Hawks were the first UAS to be deployed at the beginning of the war when they were used to perform high altitude battle damage assessment sorties on targets located in regions with a residual SAM (Surface-to-Air Missiles) and MANPADS threat. On April 21, President Barak Obama authorized the Department of Defense to use armed Predators in Libya and MQ-1s began flying strike sorties in the areas of Misratah and Tripoli. During the air campaign, U.S. Predators launched 145 air strikes firing hundred AGM-114 Hellfire missiles and also took part in the operation that led to the capture and killing of Gaddafi in Sirte, when an MQ-1 teamed up with a mixed flight of a Mirage F1CR and a Mirage 2000D and attacked the huge convoy used by the Libyan dictator in his attempt to flee the city. Also conducting some shorter range ISR (Intelligence Surveillance Reconnaissance) activity from U.S. Navy ships off the coast were some MQ-8B Fire Scout unmanned helicopters, one of which was lost (for unknown reasons) during a reconnaissance mission over Northern Libya on June 21. Alongside the US drones at Sigonella were the French Harfang (a modified version of the Israeli IAI Heron drone) of the Escadron de drones 01.033 “Belfort” from Cognac, while Italy committed to perform unarmed ISR missions using two Italian Air Force Predator B (MQ-9 Reaper) drones that were remotely controlled from the Mobile Ground Control Station at Amendola airbase in southeast Italy. Belonging to the 28° Gruppo of the 32° Stormo the Italian drones flew their first OUP sortie on August 10 and were mainly used to conduct sorties deep inside Libyan territory, over targets that could not be easily reached by other assets. In Libya-like scenarios and, generally speaking, in Crisis Support Operations where they do not face numerous high-altitude anti-aircraft missiles, drones have proved to be both effective and cheap: they ensure the coverage of a vast area of interest with the same amount of weapons as a manned aircraft, but at about a fifth of the cost per flight hour. This is of significant advantage in a period of financial crisis, as some nations could divert their ever shrinking budgets from expensive noisy manned fighters to cheaper silent unmanned aircraft. Even if the majority of tactical planes involved in the enforcement of the No-Fly Zone and in the air strikes in Libya were stationed in either Southern Italy or Greece, each fighter sortie in support of OUP averaged 8 hours and required five air-to-air refuelings. As a result, at least 6 or 7 tankers were orbiting in the airspace off the Libyan coast at any given time during the war, without taking into consideration those flying to and from their home bases.